It is recommended to set a password to prevent unauthorised access to the monitoring service. The service is normally installed on a networked print server, and setting a password would prevent anyone from tampering with the software. 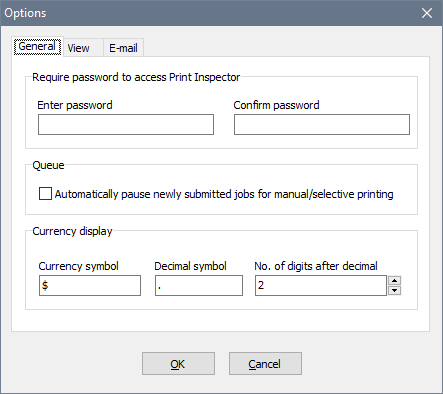 Print Inspector can hold all printing jobs in a queue until they are manually approved for printing. This feature may be useful in a library or Internet cafe where customers are required to pay before their document is printed. 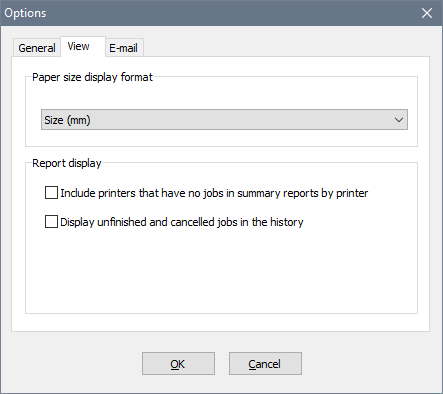 If you enable this option, all jobs submitted to the printer will be immediately suspended until you manually release them. You can also setup an alert that removes unclaimed jobs held in the queue for a long time. In addition, you can customise the way the software displays monetary values if you wish it to be different from the default Windows regional settings. 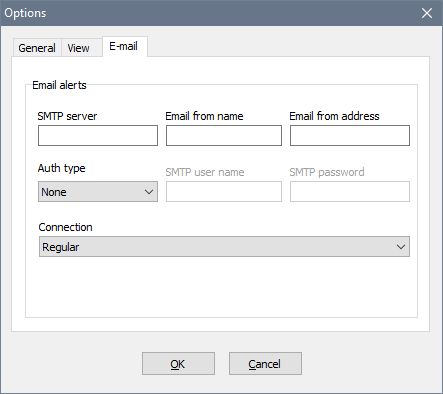 If you want to use email alerts, you must specify your SMTP server details to enable Print Inspector to send outgoing emails. The SMTP server, Email from name and Email from address fields are mandatory. Auth type, SMTP user name and SMTP password fields are optional, unless your SMTP server requires authentication.